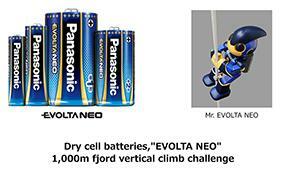 Demonstration experiment to test the durability and power of dry cell batteries, "EVOLTA NEO"
Osaka, Japan - Panasonic Corporation will be conducting a demonstration experiment where a robot powered by dry cell batteries, "EVOLTA NEO," will take on a 1,000m fjord vertical climb challenge. 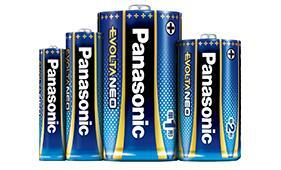 This challenge will test the durability and power of the new batteries that will hit the market on April 26, 2017. For this challenge, a rope will be hung off a precipitous fjord in Norway, and the Mr. EVOLTA NEO robot equipped with 2 AA dry cell batteries will attempt to make the 1,000m vertical climb. 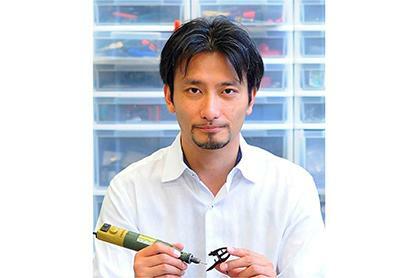 The robot that will take on the challenge was designed and developed by robot creator, Tomotaka Takahashi. Overview: A robot designed and developed by Tomotaka Takahashi powered by 2 AA dry cell batteries, EVOLTA NEO, will attempt to climb 1,000m up a rope hanging from the steep fjord. *Live footage will be available on EVOLTA NEO's official website, official twitter account, and on Niconico Live. The robot will attempt to climb the rope that will hang from the precipitous fjord. 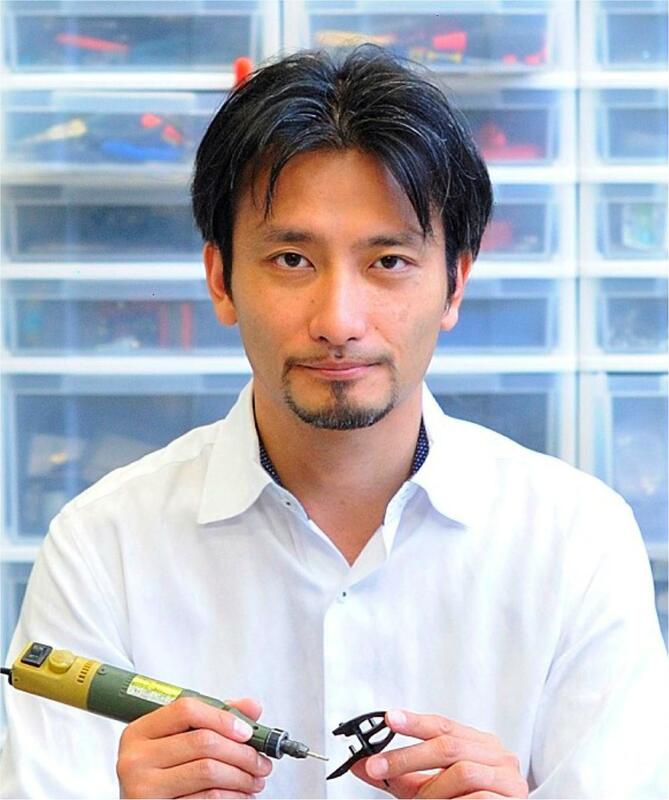 President of Robo Garage Co., Ltd.
Grand Canyon Challenge The robot, "Mr. EVOLTA", powered by EVOLTA dry cell batteries climbed the steep 530.4m cliff of the Grand Canyon in 6 hours 46 minutes 31 seconds. 24-hour Endurance Race Challenge The robot, Mr. EVOLTA, powered by EVOLTA dry cell batteries successfully completed the 24-hour endurance race held at a circuit in France. "The longest distance covered by a battery operated remote-controlled model car." Tokaido 53 Stations Challenge The robot, Mr. EVOLTA, powered by EVOLTA dry cell batteries traveled approximately 500km from Nihonbashi, Tokyo to Sanjo Ohashi, Kyoto. Triathlon Challenge The robot, Mr. EVOLTA, powered by EVOLTA dry cell batteries completed a triathlon (total distance 230km: 3.8km swim, 180.2km bike, 42.2km run) in 166 hours 56 minutes. 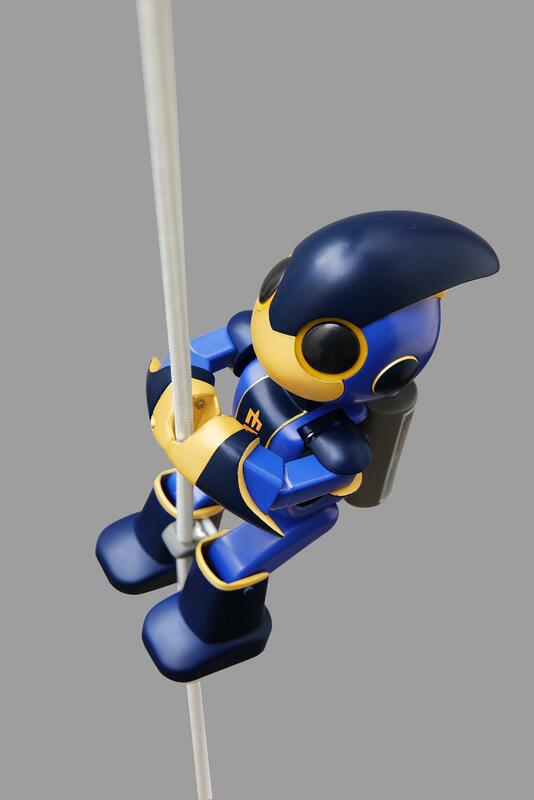 Endurance, Bring in the New Year Challenge The robot, Mr. EVOLTA, powered by EVOLTA dry cell batteries raised the barbell non stop, for 14 days, a total of 142,460 times. World's Longest Track Challenge Akita Bullet Train E6 Super Komachi powered by EVOLTA dry cell batteries covered 5.60844km of Plarails (*2) (created with 26,667 rails). Bring Back a Disused Railroad for a Day Challenge A vehicle weighing a total of approximately 1 ton powered by EVOLTA dry cell batteries traveled approximately 8.5km. World's Longest Distance Traveled on a Train Track Challenge Longest distance traveled by a vehicle on a railway track powered by 600 D EVOLTA dry cell batteries (22.615km, 2 hours 47 minutes 9 seconds). Vehicle weighed more than 700kg. Uphill start. 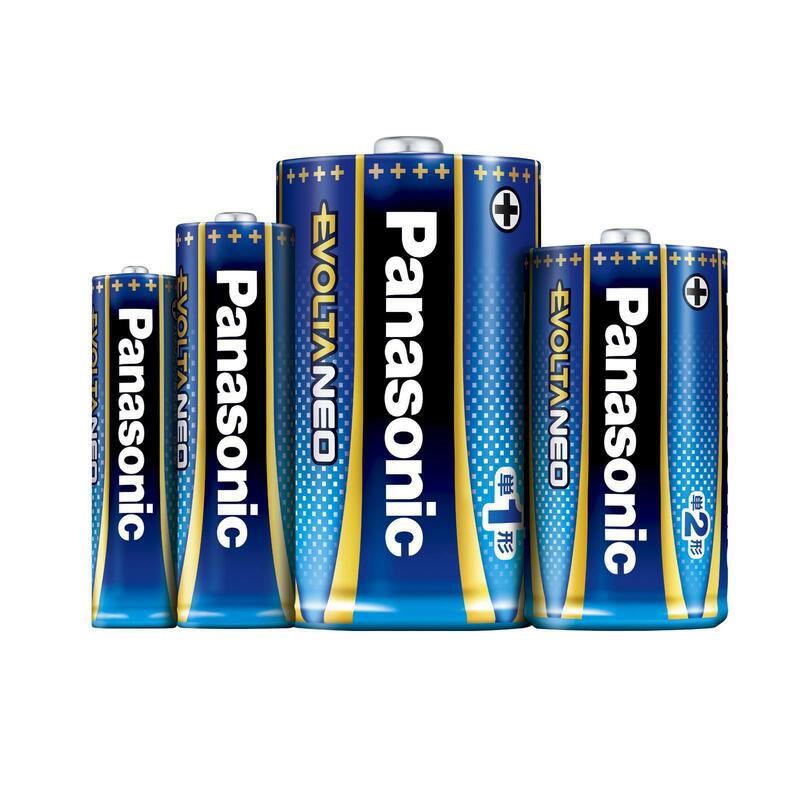 Traveled over 20km with only commercially available dry cell batteries. During the challenge no maintenance could be provided to the vehicle. World's Longest Distance Manned Flight Challenge An aircraft powered by 640 EVOLTA AA dry cell batteries flew 3,531m over Lake Biwa. *1: Set a new record on August 6, 2009 for the "Longest distance covered by a battery-operated remote-controlled model car". *2: (c)TOMY Plarail is the registered trademark of TOMY COMPANY, LTD.
*3: Set a new record on December 14, 2013 as the "Longest plastic toy train track." Record distance: 5.60844km. Have received consent to merchandise from East Japan Railway Company. *4: Set a new record on November 3, 2015 as the "Longest distance traveled by a vehicle on a railway track powered by dry cell batteries." 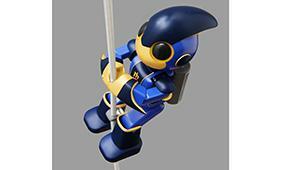 Preview Mr. EVOLTA NEO's skills at its unveiling! 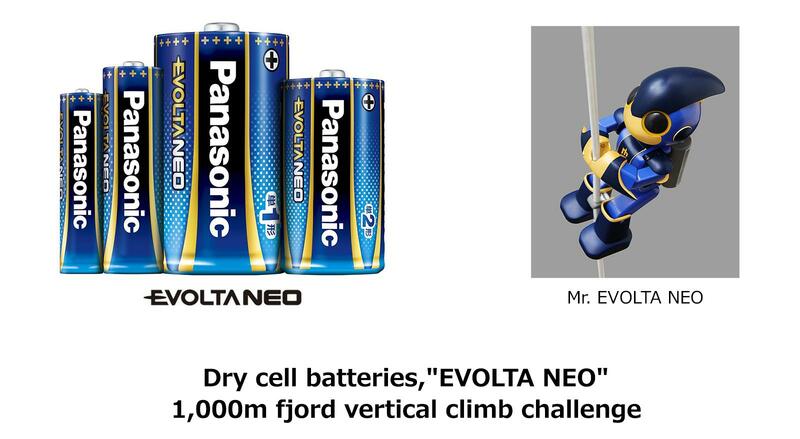 The press conference, broadcast live online, started with an overview of the new dry cell battery, EVOLTA NEO, and introduced this year's 1,000m fjord vertical climb challenge in Norway. 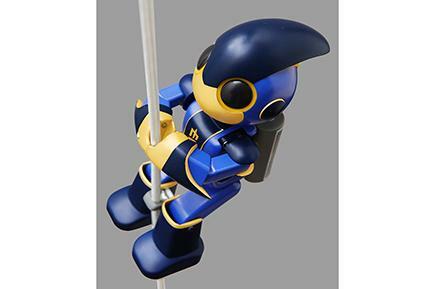 Mr. EVOLTA NEO's creator, Tomotaka Takahashi, unveiled the new robot and tested its skills live as it climbed 20 meters during the press conference.